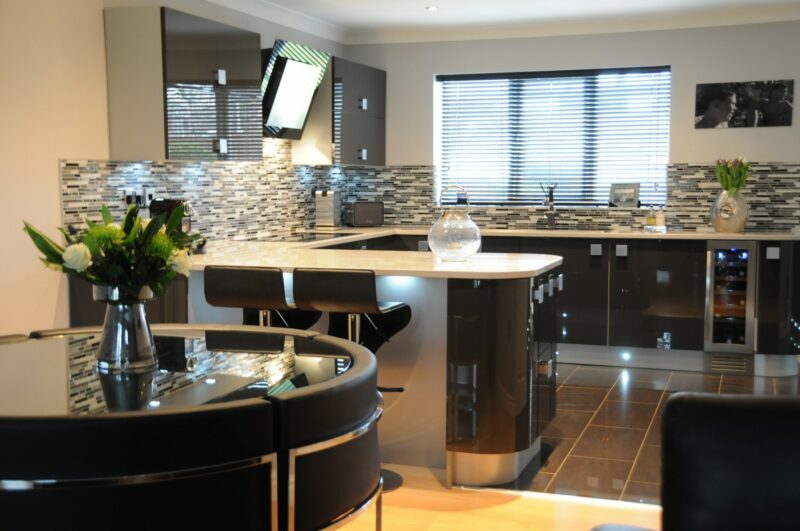 We undertake all types of building work, like removing walls between a kitchen and dining room, to create one large kitchen diner. 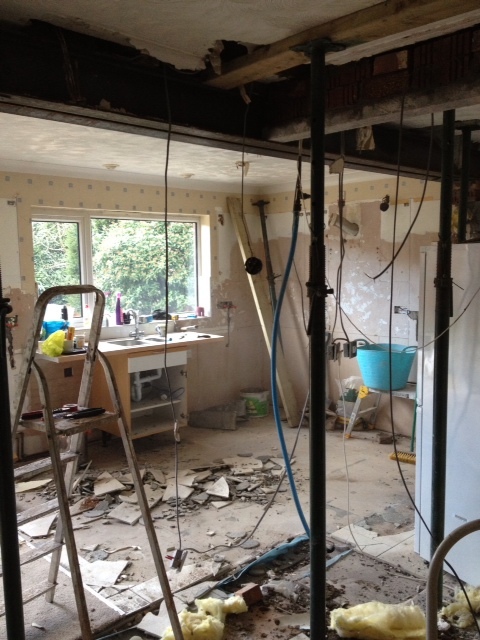 For this project, in Marus Bridge, Wigan, we fitted a new steel lintel across the width and removed the kitchen wall. 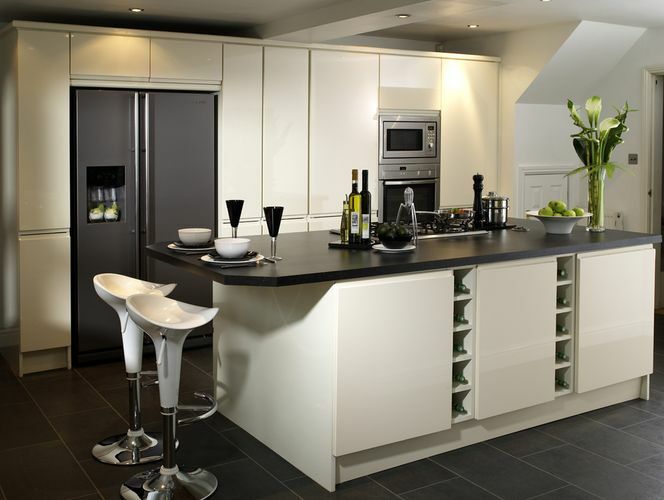 This created an open kitchen, utility and dining area, with room for a snug in the corner. 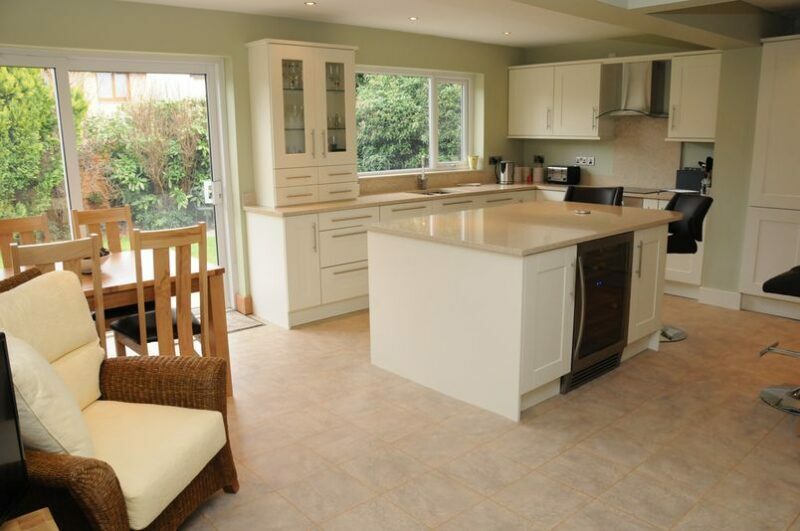 Everything was taken care of, from karndean flooring to decorating and new oak skirting boards. 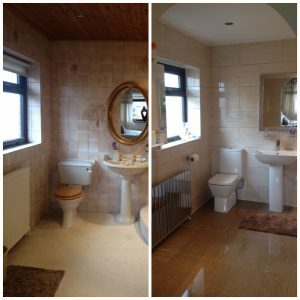 I think you’ll agree that this Aspull bathroom has really be transformed! 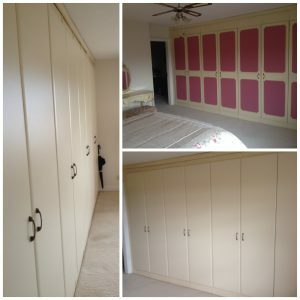 The customer is over the moon with the amazing new creation, which gives Stuart and the team great satisfaction. 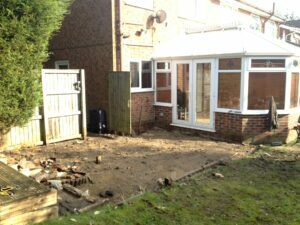 Just before Christmas we were working on an 8m x 4m orangery in Aspull, Wigan. 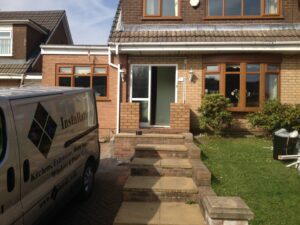 This is the before shot, showing the existing conservatory. 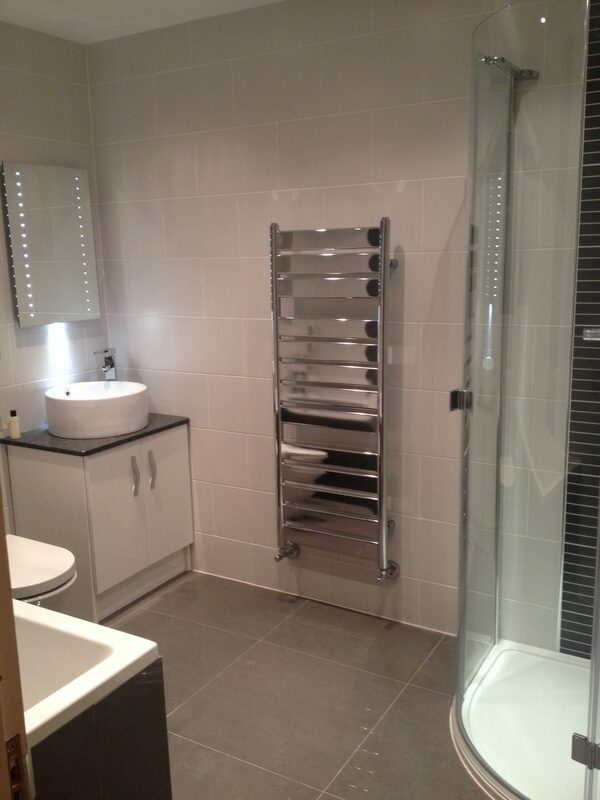 October 2013 We have just completed another beautiful bathroom installation in Wigan! I have just received some fantastic photos from one of our last bathroom jobs, I am really pleased with them! 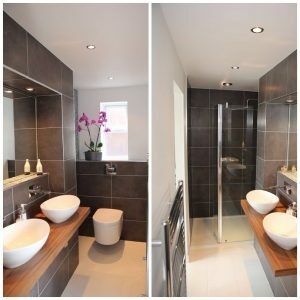 Stuart created a 4m x 1.2m ultra modern en-suite in a bedroom, looks stunning and luxurious with all the finishing touches! October 2013 – Stuart and the team are doing some home improvements in Marus Bridge, Wigan.